Many employees suffer serious injuries due to industrial workplace accidents, and workers using heavy machinery are particularly vulnerable to crush injuries. These accidents frequently leave workers with devastating injuries that prevent them from returning to work. Machines with moving parts. When workers use machines that cause their body parts to come into contact with a moving part, they are at risk of crush injuries. Particularly dangerous machines include brake presses, power shear equipment, and punch presses. Forklifts. 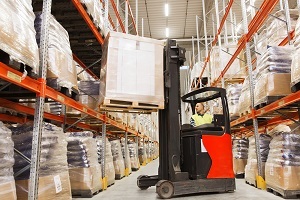 Forklifts are used to transport heavy loads in many industrial environments. They can cause crush injuries by tipping over onto the operator or another worker, or by trapping a worker between the forklift and another object. Conveyor belts. Conveyor belts can cause crush injuries when hands, feet, or limbs are caught between objects on the belt or between an object and the belt itself. Heavy items may fall from overloaded conveyor belts, crushing toes, feet, or ankles. If you’ve suffered crush injuries at your workplace, you need an experienced attorney to help you receive the compensation you deserve. To learn more, contact the law offices of Steve M. Lee, P.C., by using the form on this page.